Steel, an alloy of iron and other elements such as carbon, is often used for it’s strength and affordability. In addition to those qualities steel is also extremely sustainable. In fact, steel is the number one recycled material worldwide. In the year 2012, the recycling rate of steel reached eighty-eight percent. This means that more than two out of three tons of steel produced is derived from recycled steel. The highly sustainable nature of steel reduces pollution and conserves energy while maintaining quality. The process to recycle steel requires less energy than producing new steel. There are several ways the steel industry reduces its output of pollution, reuses its products and resources, and recycles. The sources for steel recycling come in three forms: home scrap, prompt scrap and obsolete scrap. Home scraps are steel leftovers and by-products that are produced in the steel mill that are then recycled and reused within week’s time. 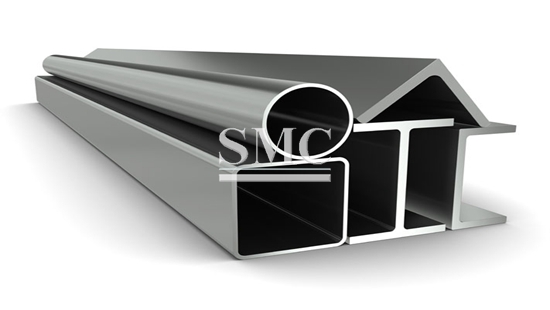 Prompt scrap is the remaining steel of manufactured products and can be available for use within months of production. Obsolete scrap is the scrap of manufactured goods such as cars, appliances, and construction products that are recycled at the end of their use, which can take years or decades to recycle. The steel industry not only recycles the steel itself, but it also recycles and reuses the by-products of steel production as well. Steel companies reduce their water and other liquid usage by reusing it in production. In addition, steel making dust and sludge is refined so that other materials such as zinc can be acquired and reused. These recycling efforts contribute largely to environmental protection efforts. In total the recycling efforts of the steel industry reduces energy usage, water usage, and air emissions released into the atmosphere. Recycling steel reduces the energy use by 455,000 kilowatt hours annually or 10%. It also reduces water usage by 13% and total air emissions by 7%. The various sources for steel recycling all have the same outcome, high quality and sustainable steel products that have no degradation in performance when compared to steel produced with non-recycled steel. These efforts to recycle steel have a positive impact on pollution and environmental protection. The benefits of the durable, low-cost, and sustainable nature of steel are reaped by producers and consumers globally while maintaining an upstanding environmental conscience.